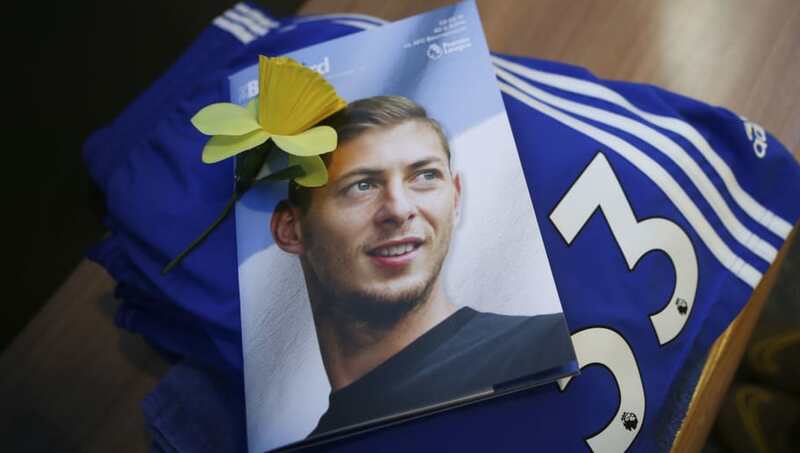 Ligue 1 side Nantes have reportedly demanded that Cardiff City pay the £15m transfer fee for striker Emiliano Sala, who went missing on his way to join up with the Bluebirds. After agreeing the deal in January, Sala and pilot David Ibbotson left Nantes to fly to Cardiff, but their plane disappeared from radar as it flew over the English Channel. ​No trace of Sala has been found as of yet, but the wreckage of the plane was found on the seabed. News of Nantes' demand comes from ​BBC Sport, who state that ​Cardiff have withheld the first agreed payment until they are happy with the documentation. Nantes are thought to be threatening legal action if they are not paid by Cardiff within ten days. The ​Premier League side are willing to uphold their side of the deal, but only once they are satisfied they have seen a conclusive outcome to the situation. Sala became Cardiff's record signing when he agreed to move to the ​Premier League, with the £15m beating the £12m paid by Cardiff to sign Gary Medel from Sevilla in the summer of 2013. During the first half of the current campaign, Sala had been in electric form for Nantes, racking up an impressive 12 goals and two assists in 19 Ligue 1 appearances. This tally left Sala fourth in the league's scoring charts, behind the likes of Paris Saint-Germain trio Kylian Mbappe, Neymar and Edinson Cavani, as well as LOSC Lille superstar Nicolas Pepe. Cardiff currently sit 18th in the Premier League, just two points away from safety. ​Burnley and Newcastle United are both two points ahead of the Bluebirds, as are Saturday's opponents ​Southampton, meaning that match looks set to be a vital occasion for both sides. Goals have been hard to come by for Cardiff this season. Bobby Reid and Callum Paterson currently lead the way with four goals each, but the team's strikers have found goals hard to come by. Danny Ward has managed one goal since the start of the campaign, whilst the likes of Kenneth Zohore and Gary Madine have yet to find the back of the net. Oumar Niasse was brought in on loan from ​Everton at a similar time to the deal for Sala, but he is also yet to score in his three appearances for the club.